Deree undergraduate students have the life-changing opportunity to intern with Diageo at an international location while receiving a bursary towards their travel and living expenses. All Deree students who wish to participate in the Diageo Internship Program must do so through the Career Services Office, who will serve as the primary liaison providing support and guidance to help students prepare applications, acquire visas, arrange Diageo internship interviews, orient to an international internship and any other assistance as needed. Following are the key steps for students applying for the Diageo Internship Program. We’ve made the Diageo Internship application process straightforward for our Greek and international Deree undergraduate students! It is advisable that you start the process no later than 1 month before the deadline. Your completed application has to be submitted to the Office of Career Services by the stated deadline for you to be considered for this program. If you are eligible, start your application process and follow our tips. It is suggested you also e-mail the Office of Career Services, so as to inform them of your desire to apply. The Diageo Group will then ascertain if, based on your application package, you are eligible for an interview. You will be informed of your acceptance and the location of the internship following the interview process. Contact the Office of Career Services to get tips on analyzing the job and making sure the hiring manager knows why you’re a good match, researching the company, practice interviewing, what to wear and what to bring to the interview, how to impress during the interview, and how to follow up. If you don’t already have one, you need to obtain a passport: For internships outside the EU you need a valid passport. For internships in the EU/UK universities you either need a valid passport or a Greek ID in English. Greek students should visit the Hellenic National Passport Center website for more information about obtaining a passport: http://www.passport.gov.gr. 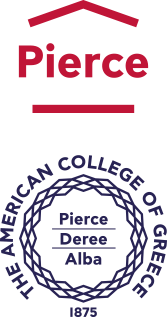 International students must already have a valid passport to study at Deree. A basic Diageo Internship Program requirement is to have International Health Insurance (IHI). You can either extend your family insurance plan or decide to purchase individual insurance, be it private or public health coverage. Be sure to look into this early on as it can take a few months to settle this requirement. here is a link to some suggestions about purchasing IHI. Come by our office and pick up a Pre-departure Guide with all sorts of tips and useful information about living in a foreign country for the first time, as well as to inform us of your departure details. There will also be a mandatory internship training session right before your internship commences, organized by the Office of Career Services. Don’t forget to come say good-bye to us before you leave! All the best and we will be waiting to hear all about it when you return! 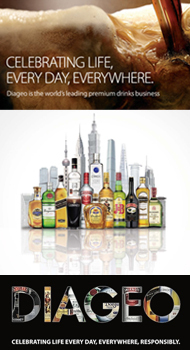 For Diageo’s global resource that promotes responsible drinking through the sharing of best practice tools, information and initiatives, visit www.DRINKiQ.com.